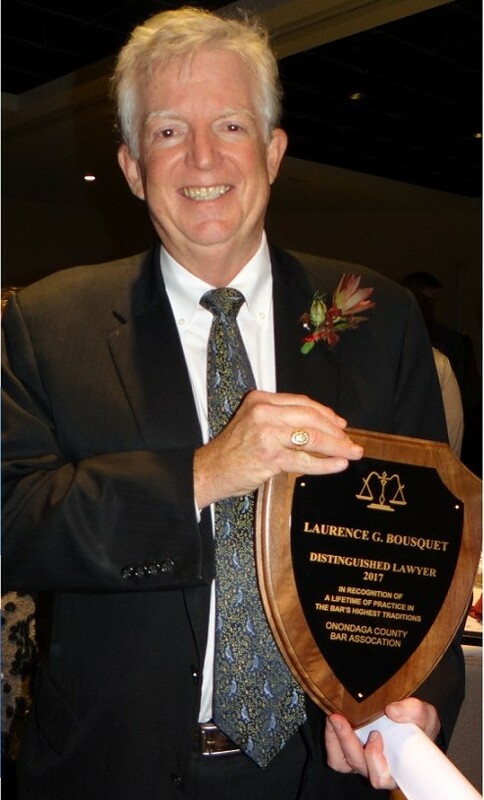 The attorneys and staff of Bousquet Holstein congratulate Larry Bousquet on receiving the Onondaga County Bar Association’s highest recognition, the 2017 Distinguished Lawyer of the Year Award. The award was presented at the Onondaga County Bar Association’s Annual Dinner on Thursday, October 26th at the Marriott Syracuse Downtown. For details and highlights of the event, please click here for the Onondaga County Bar Association Bar Reporter Newsletter.